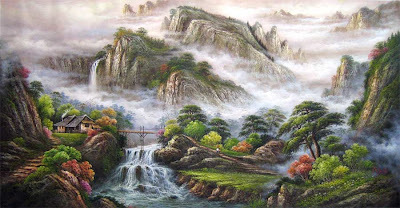 Regular readers of this blog will know that the title “The Way of Least Resistance” is actually just one possible translation of the concept in Daoist philosophy known as wu-wei (無為). Literally this phrase means “not doing”. In this video, Takanoyama Shuntaro (AKA: Pavel Bojar), a 200 lb Judo player from the Czech Republic, competes at the elite level in Sumo, demolishing much larger opponents. He does so as the very epitome of "wu-wei in action". In order to explain what I mean, let me back-track a bit: As I have previously explained, the expression wu-wei is not a literal injunction against action. Rather it is description of an ideal state “where nothing is done, yet everything is achieved”. One way of translating this maxim into a meaningful “instruction” is to say: “Do only that which is necessary” (or conversely: "Don't do that which is unnecessary"). Another is to say: “Follow the lines of least resistance” (the title of this blog). But I suspect that none of this analysis is particularly helpful: words have a tendency to be quite limiting. Images, on the other hand, "paint a thousand words". So in explaining wu-wei, I like to use the image of swimming with a current - ie. using the force of the current to achieve your objective (which, in this example is, probably to get to the shore/bank rather than be pulled out to sea by a rip or into dangerous rapids, etc.). You sure don’t get far trying to swim against the current. What Takanoyama demonstrates so clearly in the above video is his ability to "go with the flow" - and in so doing, use, entirely to his advantage, the superior force (in the form of his opponent's accelerating mass) being thrown at him. More specifically, Takanoyama is able to "lead momentum" - ie. take control of his opponent's momentum in attack and redirect it so that it is used against the opponent. There is simply no clearer manifestation of the adage: "The bigger they are, the harder they fall." The second video that synchronously came to my attention at about the same time was the video below of a high school kid dealing with a bully. Again, the defender uses wu-wei almost perfectly. Now I know that I'll get a fair amount of email which disparages this video as "not a real fight" and "just some kids having push and shove" etc. And yes, I know this is true. But the relative lack of "seriousness" in terms of comparison with some civilian attacks is completely irrelevant to the point I'm making: wu-wei (or its opposite - foolish, unnecessary action) can be seen in any level of conflict - ranging from verbal, to minor physical, to murderous. As with Takanoyama, the defender uses his attacker's momentum, twice "throwing" the attacker to the ground. Note that there is no "judo throw", no fancy "shooting", no "grappling": I'm not sure the defender was even trained (although I suspect he is, at least to some extent). Rather, the defender leads his attacker's momentum and directs it to the ground with a rather more "simple" pull in one case, and a pull combined with some sort of foot sweep in the other. Another salient feature here is that once the fight has commenced, the defender doesn't "wait" for anything; he seizes the initiative as soon as possible, grabbing/sweeping the attacker as each attack is being launched, then redirecting it away and down to the ground. If you're going to "lead momentum" in this way, early interception is always necessary - whether it be in a sumo match, a high school punch up or a more serious civilian defence scenario! As an aside, it is worth noting that this is precisely what "wrist grab defences" in traditional martial arts are all about; they aren't literal "attacks" to be "defended". Rather, they are merely a convenient starting position for the practice of a particular technique. In other words, the wrist grab puts you and your partner in the correct position and distance for the technique you are going to perform - whether he's grabbed you or you've grabbed him, or no one has grabbed anyone. It is just platform for starting a sequence - nothing more, nor less. The nature of the attack (be it a grab or a punch/strike) is irrelevant because you're going to start projecting your attacker's body at this early stage - as the attack is being launched. Consider for a moment in the video above whether you can tell in each case what technique the attacker was going to attempt just before he was thrown: I suggest it is impossible to do so. Why? Because the attacker's aggressive intention was being redirected before the actual attack could even crystallise. This shows the "proactive" and "assertive" nature of wu-wei: when you take action, you do so positively and without hesitation. You do what you need to do, when you need to do it. Wu-wei is not a "pacifist" or a "timid" philosophy. 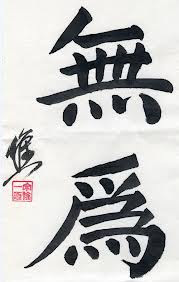 When wu-wei manifests as action, it is action indeed! But isn't this the same as "pre-emption"? Certainly not! Here we are talking about using the attacker's force against that attacker. By contrast, true pre-emption means there is no force from the attacker. No, what you'll see in the high school bully video - and in Takanoyama's example - is early interception of an attack: as early as possible! By contrast, once the fight is underway, you'll note that the defender seizes the initiative - in much the same way (although with very different techniques) as the Turkish boxer did in the video I analysed here. There is no reason to "wait around" for attacks to "block"! Speaking of different techniques, you'll notice that the defender only does one punch - and that is the punch after the initial attack he has blocked. After that, he simply leads his attacker's momentum off balance. Why? Surely it would have been better to keep punching? 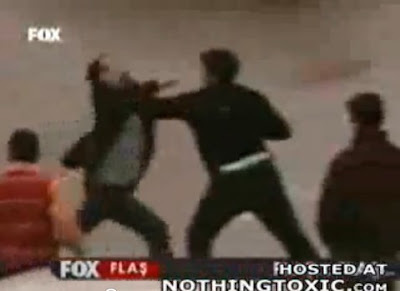 The defender is clearly trying to diffuse the situation. The bully will have none of it. Note in particular that the defender is not playing the "monkey dance" or "chest bumping" game. Once an attack seems inevitable, you see the defender positioning himself, slipping his backpack off his shoulders. He intercepts the punch with a deflection and counters effectively (the landing of the counter punch is audible). After that, his (wobbly) attacker is relatively easy to read in his aggressive intentions: the defender can intercept these - before each physical attack is even properly formed - and redirect them. Could he have gone further and punched and kicked the attacker into submission? It seems pretty clear that he could. But he didn't need to. 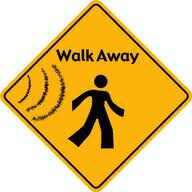 Instead, he did what he had to do, and no more, ending with the opportunity for the bully to "walk away". This last point is important: he gave the bully at least some room to back down. This is a large part of wu-wei in action. What might have happened had he "gone the extra step" of putting fist and foot into the equation? Well, he might have seriously injured the bully. He might have been disciplined by the school. He might even have been charged by the police, then prosecuted and convicted of an offence. Unsurprisingly, wu-wei goes hand-in-hand with necessary and reasonable force. Otherwise, someone might have come to the bully's aid, creating a multiple person attack. At the very least, the defender would have lost the "high moral ground". Regardless, any extra aggression and/or humiliation would have been, by definition, extra. The potential for some sort of consequence would have been inescapable - even if it manifested as a need for revenge by the bully at some later point. All our actions have consequences. And the "butterfly effect" of Chaos Theory ensures that these consequences are impossible to predict. The best we can do to manage these consequences is to keep our own actions to the necessary minimum: ie. 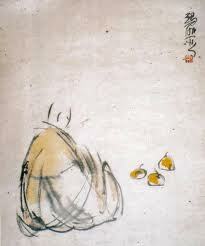 to do as little as possible - wu-wei. I have no doubt that Bruce Lee was thinking of nothing other than wu-wei when he famously referred to “the art of fighting without fighting” in the scene below from "Enter the Dragon" (I understand Lee had direct input in this part of the script). “Acting unnecessarily” or “inefficiently” is fraught with danger; it is the very last thing you can afford to do in the management of any conflict. It creates and leaves openings - apart from inviting (if not encouraging) attacks to those openings. Indeed, even mildly foolish “unnecessary action” can spark aggression against you where none existed - creating battles you didn’t need to fight. And, as my friend Zach likes to say, the only fight you’re guaranteed to win is the fight you don’t get into. Accordingly, if your goal is civilian defence (as opposed to sport), wu-wei dictates that an act of of aggression should only ever be a last resort - a "regrettable necessity". And even once you are in a fight - whether it be in civilian defence or the sport arena - wu-wei still holds the key to successful tactics: intelligence - indeed wisdom - dictates that you will maximise your chances if you minimise your openings and use your opponent's force against your opponent as much as possible. It is for this reason that the Daoist internal arts are so focussed on avoiding over-commitment and "preserving momentum". In future articles I hope to shine more light on exactly how the internal arts make the most of these principles to create truly advanced civilian defence systems. For now, I leave you with the observation that wu-wei is a necessary part of any effective fighting system - whether it be a conscious tactic taught systematically in a traditional Daoist martial art, or a tactic adopted unconsciously by someone who just intuitively "gets it". In this regard it is worth noting that some of the greatest masters of wu-wei I've known have probably never even heard of the term. Yet they understand wu-wei perfectly, employing it to great effect in their day-to-day lives. They understand "inaction in action" as the ultimate source of "de" (德) - power.